Last week was another busy week in social media. Today we’re hosting the 94th carnival and highlighting 21 posts from 14 blogs. The case for nuclear engineering education is particularly important. The current workforce of nuclear engineers is rapidly retiring. 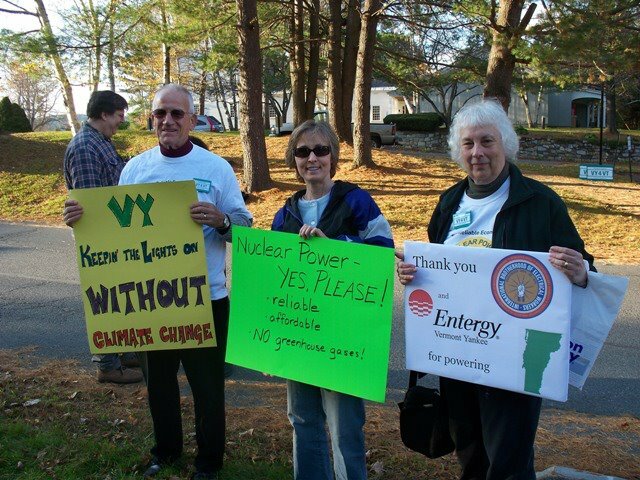 … One hopes that some of the supporters of nuclear energy on the Hill will notice this cut and restore the funding. I would encourage those who share my concern to contact your members of Congress and ask for their help in restoring funding for educational programs. Also at her own blog, she announced the March 17 community rally in support of the plant. Steve Aplin at Canadian Energy Issues commented on the different risk perceptions between nuclear materials and chemicals. Fear of the 'Dirty Bomb' recently led to a campaign to phase out the use of cesium-137 in hospital irradiators. Those machines sterilize blood prior to transfusion and prevent transfusion-associated diseases. Steve pointed out that there have not been similar campaigns to phase out other useful chemicals, like chlorine, ammonium nitrate and gasoline, which are much easier to obtain and put to evil purposes than cesium. Many people fear nuclear materials but forget that chemicals, fuel and fertilizers can cause much greater damage. Atomic Power Review has a two-part contribution this week concerning the Palisades nuclear station and reactor pressure vessel embrittlement. In the two posts, Will Davis addressed media claims of vessel embrittlement. Part 1 was a background on Palisades with a link to a past APR article on the topic and part 2 provided great detail on embrittlement from a number of print sources and A. David Rossin (former President of ANS). Over two billion years, most of the fission products in porous sandstone at Oklo didn't even migrate as far as Tom Brady can throw an errant football in a "Hail Mary" pass at the end of a Superbowl as a last ditch attempt to avoid a losing effort. His post is humorous and dense but definitely worth the read on Oklo. Steve Skutnik from the Neutron Economy describes how small modular reactors can help displace Iowa's coal-heavy energy portfolio. SMRs can provide an economical, "right-sized" solution for smaller, rural electrical grids like Iowa’s. Of course, not everyone is convinced of the benefits. Skutnik also blasted some of the specious arguments against the technology. Over at Energy From Thorium, Kirk Sorensen is working hard to push for thorium all around the world. Kirk was in London last year to help launch the Weinberg Foundation which promotes thorium. On Thursday, Kirk highlighted the Foundation’s press release on the formation of an “All-Party Parliamentary Group” in London with members of both the House of Commons and House of Lords to consider the potential of thorium as an energy source. Well done. Rod Adams at Atomic Insights discusses how and why we should combine domestic coal with nuclear energy to make oil. No, it’s not a new concept. Technologies exist to achieve this, check out Rod’s post on how. Much of the post-accident speculation was constrained only by people’s imagination (which can be pretty wide ranging), and utterly failed to resolve the fact that RISK is probability X impact. Instead, anti-nuclear types typically choose a huge, speculative impact, and then try to attach a large probability (often near certainty) to it. For truly catastrophic outcomes, both numbers are very small, and multiplied, vanishingly so. Nuclear reactors, due to their ability to produce large amounts of energy at any location, will be the required energy source for future human space travel outside of earth’s orbit. Make sure to follow the Café for more of his series. Also at the Café, Dan Yurman reveals a dispute over the start of two new nuclear plants in India. To the right, months of protests have delayed the Kudankulam nuclear project in southern India. Some people (including India’s sitting prime minister) allege that American NGOs are funding the protests. If true, it sounds like a scandalous story. Dan Yurman at his own blog, Idaho Samizdat, also reported several positive news items for the week including the good news that North Korea is suspending its nuclear weapons program and opening more dialogue with the U.S. Of course, some aren’t holding their breath. Dan also reported that Iran is having a tough time with its uranium enrichment program, how the U.K. is consuming its surplus plutonium, and how South Africa is taking another shot at bids for new reactors in the country. Brian Wang at Nextbigfuture looked at detailed levelized cost comparisons of nuclear, solar and coal. Brian notes that two-thirds of the cost of coal energy is determined by future commodity prices while nuclear and solar costs are dominated by construction costs and financing. Brian also highlights a World Nuclear News story on GE’s laser uranium enrichment plant. The NRC just issued its final technical Safety Evaluation Report (SER) and Environmental Impact Statement (EIS) for the proposed enrichment plant. The GLE plant would use a laser-based process to enrich uranium up to 8% uranium-235 by weight (although nuclear power reactors normally require 3%-5% enriched uranium), with an initial planned maximum target production of six million separative work units (SWU) per year. … Laser enrichment could be 2 to 20 times more efficient than other enrichment processes. And here at NEI Nuclear Notes, various contributors generated a lot of action – covering PBS’ documentary of Fukushima, Senator Bingaman’s proposed Clean Energy Standard, tornadoes in the South, and NEI’s next social media call on the industry’s FLEX strategy. Be sure to stop by everyone’s pages for these great articles and new reporting. Stay tuned for other carnivals at Yes Vermont Yankee, ANS Café, Next Big Future and Atomic Power Review! Of course, the calculation is only illustrative of the fact that a massive amount of deadly radiation was released from Fukushima. This shows that just the Cesium alone, as officially reported is enough to push all humans to being 26,000% over the limit for being contaminated meat (using 500Bq/kG). Now the reality is that humans won't get all the Caesium, we can share that with all the rest of the animals and plants in the world. Share the Pain!!!!!!!!! Something to be thankful for, LOL, ouch. AND THIS IS COOL POLL, stop by and fill out of the poll, 30 seconds. All your post illustrates is the silliness of the assumed limit. What is the negative health effect of cesium at levels that might be achieved? Do not look at the bureaucratically determined "limit" but at the actual effects on human health as determined by scientific study. The mass of radioactive isotopes released by the three damaged reactors was a few tens of kilograms. It was diluted by many tons of water and spread over many thousands of square miles. 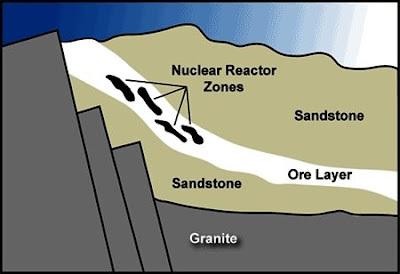 Interestingly enough, a technique called "landspreading" is the officially sanctioned method of handling the naturally occurring radioactive material that is extracted from the earth's crust as a result of drilling for oil and natural gas.